Start with WFCA. Finish with Quality. The Wisconsin Finishing Contractors Association is Wisconsin’s premier association of finishing contractors. WFCA members strive to provide their clients with the highest quality workmanship through market based competitive bids in all areas of the finishing disciplines. WFCA members are state certified professionals. Assuring you’ve chosen the right company for your job. Industrial coating, painting and wall covering, architectural glass and metal, drywall finishing, floor covering, and sign and display work. Download the mail in registration form. "A loving place for women and children." Why Choose Our Contractors ? There are many ways that accidents on the job site can be avoided. When selecting your contractor, you should always ask how your contractor approaches safety. It is important to know the effectiveness of your contractors safety program. No one wants to be issued a citation by OSHA and have your project shut down! WFCA’s members maintain jobsite safety by indepth and proper training for all new employees. Each employee has been trained and instructed on how to address risks and hazards that can exist on the job, and are fully instructed on the use of all equipment and each piece of protective equipment. WFCA contractors lead the industry in providing mandatory upgrade training, state approved apprenticeships and job specific training required to provide top workplace performance. WFCA offers the following opportunities for training programs and more. Drug and alcohol use in the Construction Industry is dangerous. Poor decision-making and slowed reaction times from drugs and/or alcohol use can cause serious on-site trouble. According to the latest National Survey on Drug Use and Health, the construction industry has the highest rates of workplace drug use. The US Department of Labor has posted that the drug and alcohol use by construction workers is at an all time high. These laborers create risk on the job site affecting overall job safety and work efficiency and productivity. 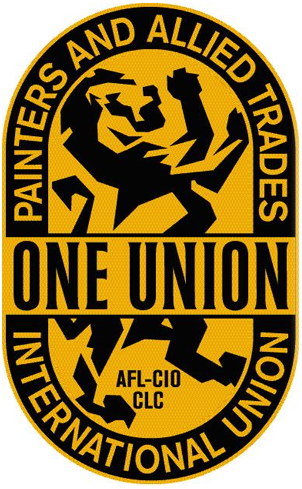 The Wisconsin Finishing Contractors Association is affiliated with IUPAT, District Council 7, Local 802. Our members are union contractors.